New Tailor - Fashion in Utrecht. This shop has a large collection of made to measure suits, dress suits and made to measure shirts, also sweaters, jackets, dinner suits and morning coats. Besides this they have a varied assortment of ties and other items. 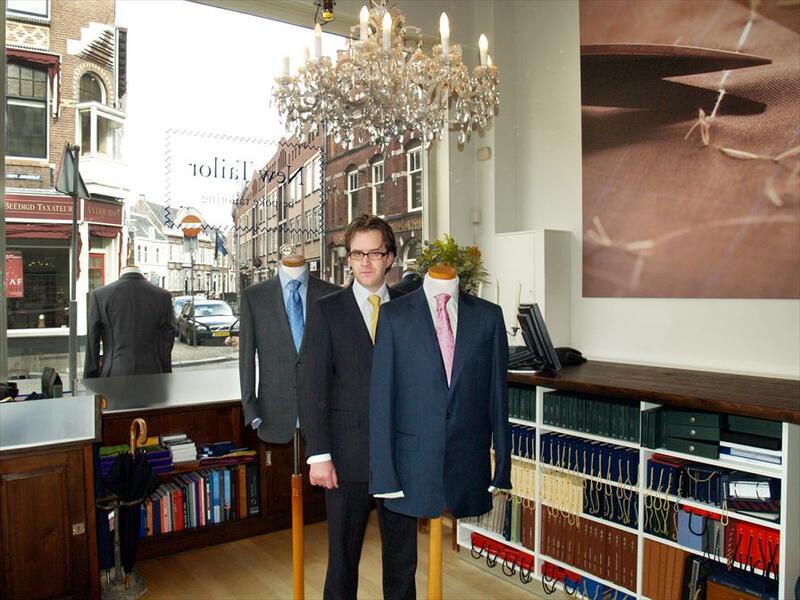 At new tailors they have their own Tailor, and are thus specialists in the making of made to measure suits. For the measuring and selection of cloth a certain amount of time is needed and taken, under the motto ‘first the gentleman then the suit’. They have their own patterns, therefore they do not use any outside designs. 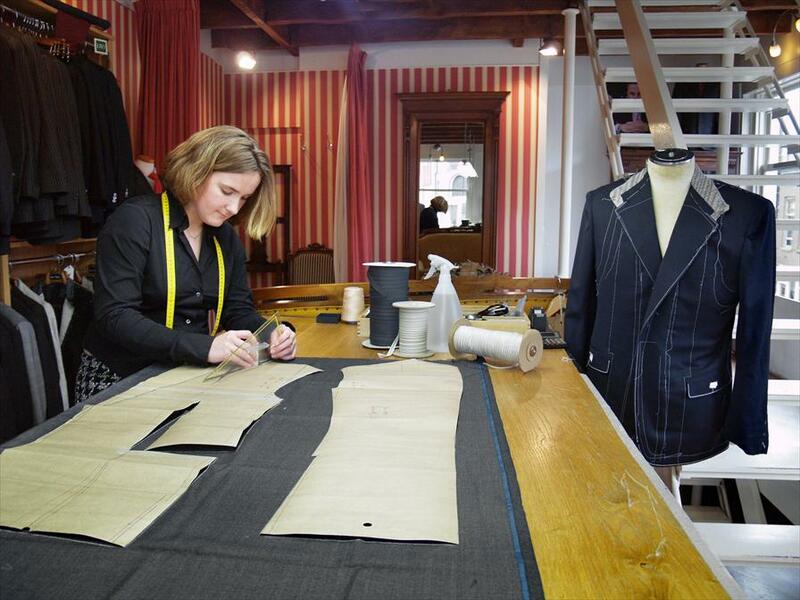 A large section of their suits are made in England or Italy, but the last stage of the tailoring is completed in their own workshop. The interior is classic and direct. The chandelier and the large three by three, huge photo of a pair of scissors cutting through material immediately catches ones eye. The shop invites you to calmly choose your material as this need time. One is taken to the second floor to view all the materials you may wish to see. The shop was set up in 1997 after the disappearance of the traditional tailors, and this has given the tailor world a new lease of life. New Tailor also have a shop in Amsterdam in the Honthorststaat 2a.